Zionist Union leader Yitzhak Herzgo blames would-be leader Avi Gabai for 'damage' to the party and helping to nix PA-Israel negotiations. Avi Gabai, who served previously as a Kulanu-faction minister (but was not an MK) and is currently a candidate to lead the left-wing Zionist Union party, said the faction has lost its identity. "I am sorry there are so many internal issues which make it out of the party," Gabai said at a Shabbatarbut event in the central city of Yehud. "We cannot delay the elections, and it does not matter who is asking us to." "The only purpose in delaying elections is so that we can join Israeli Prime Minister Binyamin Netanyahu's government, which we cannot allow. "I would like to remind all those who have forgotten of the fact that we lost 12 seats because of our attempts to join Netanyahu's government. It harms our party, and our ambition to lead the country. "Our party has lost its identity, causing our voters to abandon us." 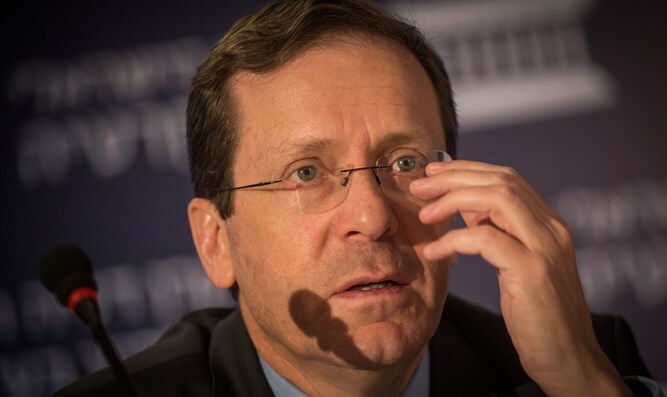 Current Zionist Union leader Yitzhak Herzog responded, "Those who live in glass houses should not throw stones. You were the reason we ended up with such an extreme right-wing government. You ran for it, you ran towards Justice Minister Ayelet Shaked (Jewish Home) and Education Minister Naftali Bennett (Jewish Home)." "You were a partner is destroying our chance of renewing negotiations with the Palestinian Authority. "It's very nice that you joined us this year, but don't lecture us about how we need to fix the damage you yourself helped to cause."